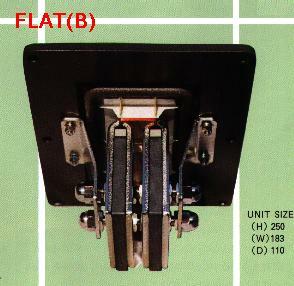 FAL drivers have been developed to match the HEIL Air Motion TransformerTM mid and high range driver units. The area of the diaphragm was determined by aiming perfect reproduction of especially well balanced low and mid range.- Use of a flat diaphragm was to solve various long unsolved problems peculiar to conventional cone diaphragm which had different sound generating points from the center over the outer skirt causing phase shifts, resultant distortion, and problems of directionality and impedance response. 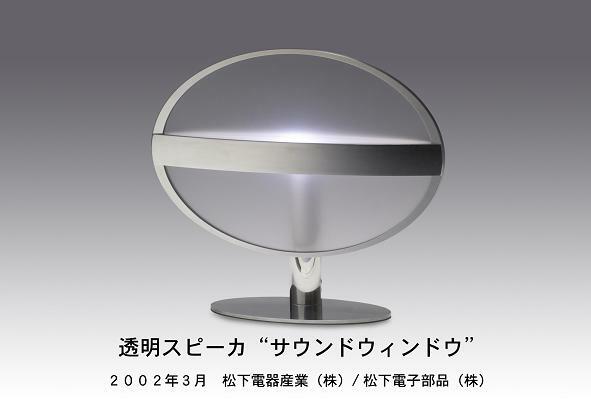 Matsushita Electric Industrial Co., Ltd. has developed a transparent panel speaker called "Sound Window" an industry-first speaker that reproduces sound by pneumatically vibrating a transparent panel using aerodynamic-drive technology. Featuring extremely low power consumption and design flexibility that makes it possible to mount the panel speaker onto a display screen or touch panel, "Sound Window" can be applied to a wide variety of small products such as mobile phones and personal digital assistants. The transparent speaker works by using a transparent panel as the diaphragm, and the driver which generates air pressure can be positioned near the panel. This feature enables the speaker to be mounted over the display screen without interfering with the picture quality. A touch panel configuration also works perfectly as a diaphragm of this aerodynamic-drive speaker technology. Compared with other transparent panel speakers using direct-driven panel, the 'Sound Window' speaker system with the aerodynamic-drive technology consumes only 1/25 of power, making its strong advantage in applications to mobile electronic products, such as cell phones and PDA's. (1) The "aerodynamic drive technology" acoustically vibrates a transparent panel using the sound pressure generated by a driver installed in the space behind the panel. This technology ensures sound-pressure transmission to the entire panel surface, resulting in great flexibility in choosing the installation position of the driver and designing the panel shape. 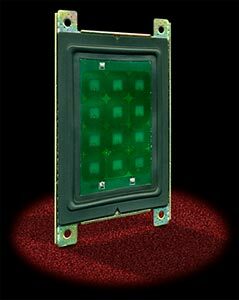 (2) For driving a large-area panel using a small driver the "acoustic leverage technology" enables a small driver to acoustically vibrate a panel with ten or more times the diaphragm area of the driver. 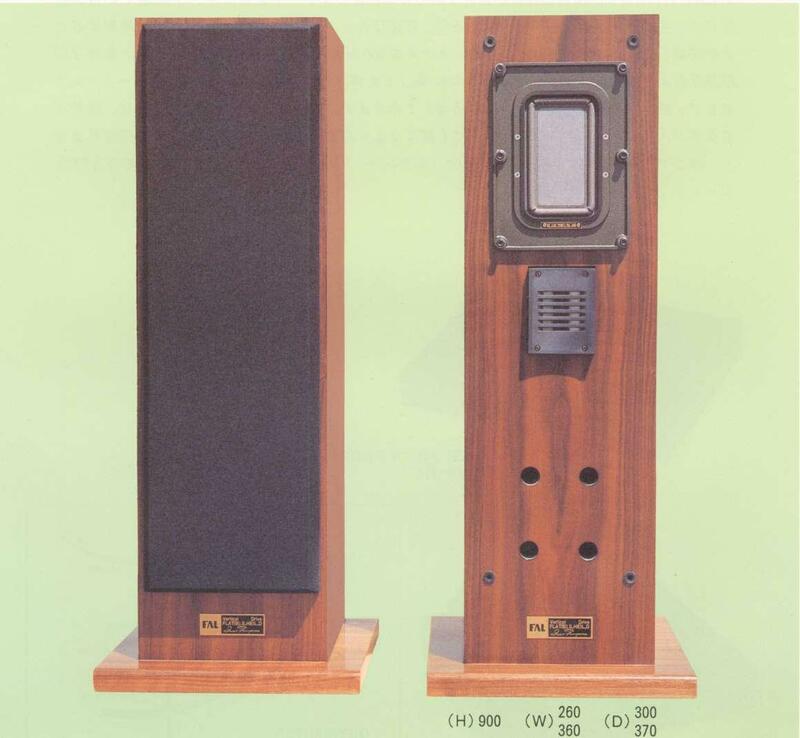 The acoustic leverage works in proportion to the area ratio of speaker panel and driver diaphragm, so that a small driver can efficiently vibrate a large-area panel. The MCMA incorporates dozens of powerful, Neodymium magnets are aligned on a slender template, above which a thin, high - temperature film diaphragm is suspended parallel to the surface of the magnets. On the surface of the diaphragm are conductive, spiral voice coil circuits, enabling a high degree of magnetic coupling - and hence low distortion. The advantage of this new transducer is that the diaphragm is not fixed rigidly to the frame, but is suspended by a compliant, rubber composite half-roll, allowing a very high excursion potential. High excursion greatly enhances dynamic range and power handling at low frequencies, while curtailing the distortion and compression characteristic of other planar designs with fixed edges. The result is clarity, transparency, and "punch" in the vital midrange frequencies between 100 Hz and 10 kHz.